RJD chief Lalu Prasad on Tuesday called Bihar Chief Minister Nitish Kumar as a "Paltu Ram of politics" for breaking the Grand Alliance and forming a new government with the BJP. "Nitish Kumar is the Paltu Ram of politics. He has again proved that he can do anything for power. He has neither principles nor ideology but only greed for power," Lalu Prasad told the media here. 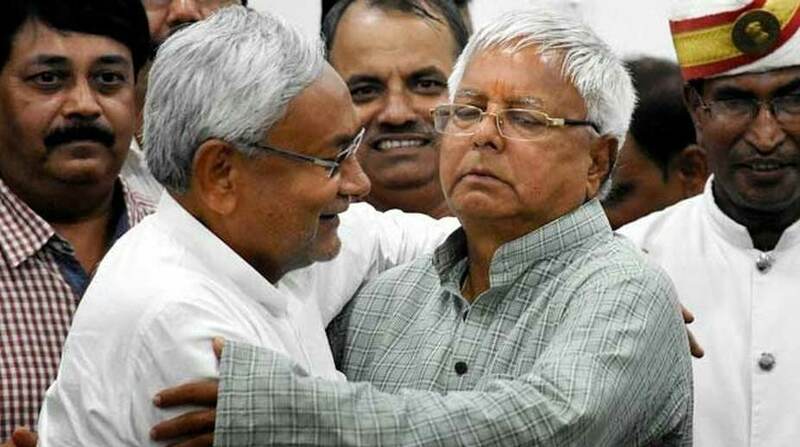 Lalu Prasad said Nitish Kumar had in his political life joined hands with many and then dumped them. "Nitish Kumar has broken the Grand Alliance by citing the case of Tejashwi Yadav. It is far from the truth. Nitish Kumar has no shame. "I know Nitish Kumar for long. He has no mass base and is only greedy for power." Lalu Prasad said Nitish Kumar along with some union ministers had conspired to have the CBI lodge cases against him and his son Tejashwi Yadav and raided his residence in Patna. "It was to defame us… Nitish Kumar has murdered democracy." The RJD leader said Nitish Kumar's image was now of a "paltibaaj". He has exposed his political character before the people, he said. Asked to comment on Nitish Kumar's remarks that he did not need any certificate on his secular credentials, Lalu Prasad said: "Nitish Kumar is communal, he has nothing to do with secularism. Nitish Kumar should cover his body with saffron and chant 'Jai Shri Ram'." The former Bihar Chief Minister warned that while "Nitish Kumar may have again sat on the lap of the RSS and BJP, sooner or later they will bid him farewell".